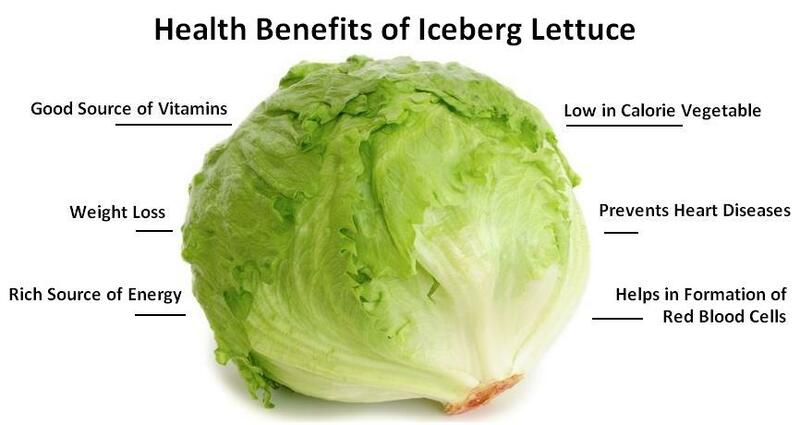 Let’s see some of the amazing health benefits of iceberg lettuce here on this page. What is the relation of ice with Iceberg Lettuce? In 1930’s there was a ship coming with lettuce from California to East Coast and people of the east cost were eagerly waiting for the shipment. Due to the natural conditions, the ship was coming covered with ice, and so the people of the east coast start chanting icebergs are coming as trains carrying the crop pulled into each stop. Ans, so the name came Iceberg Lettuce. It is the most popular among different lettuce varieties consumed in the United States USA. It is typically used in salads, tacos, and sandwiches. It has a unique crispness and has a cool, enjoyable crunch. It has about 96 percent water content in it, and its very helpful for those who drink less water. It has comparatively less nutrients than the other greens that you may find in salads. It is an excellent source of vitamin A, vitamin K, and vitamin C. It is rich in thiamin, vitamin B6, and folate (vitamin B). 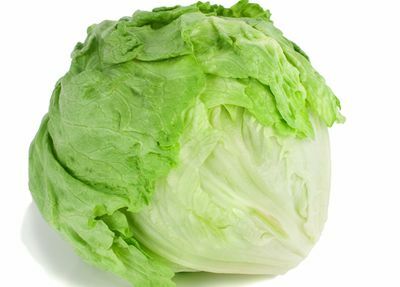 Calories in Iceberg Lettuce: An important health benefits of iceberg lettuce is that it is very low in calorie. It has only one 16 calories per 100 gm. It mainly contains water and dietary fiber. It is also very much low in fat percentage with a high profile proteins and nutrients that is helpful when you try to lose some weight. It has a high water content (about 96%) and is very low in calories. Therefore, it is good for weight loss efforts. A moderate amount of potassium is present in it. It protects your heart by checking blood pressure and heart rate. It is considered that owing to the folate content, it helps in fighting heart diseases and strokes. This green leafy vegetable contains dietary fiber along with Omega fatty acids used to provide strength. and its nutrients give sufficient energy to maintain fitness with proper functioning. It is also rich with iron content that has many beneficial properties towards wellness in the formation of red blood cells.